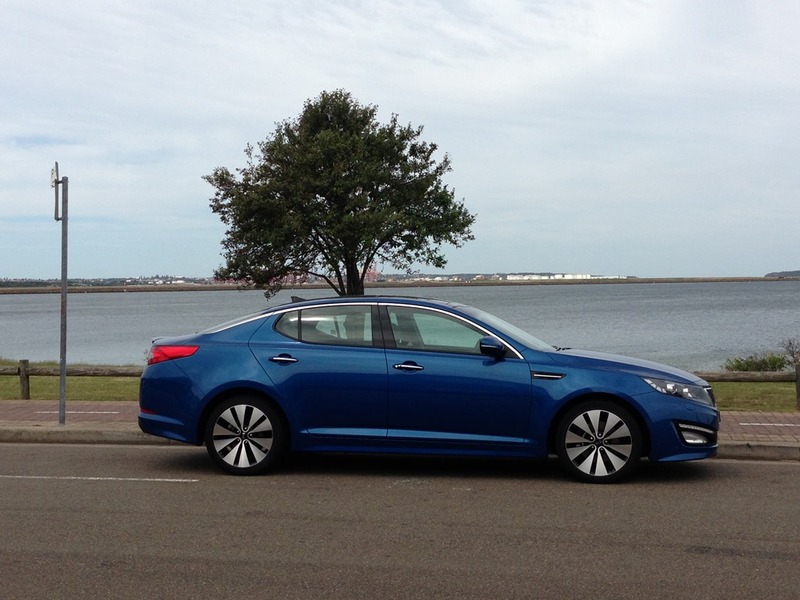 I want to say “Wow!” but it seems insufficient to accurately convey the gorgeousness that is the visage of Optima. The perfect proportions, low roof and enormous wheels look exactly like a concept drawing I once saw. 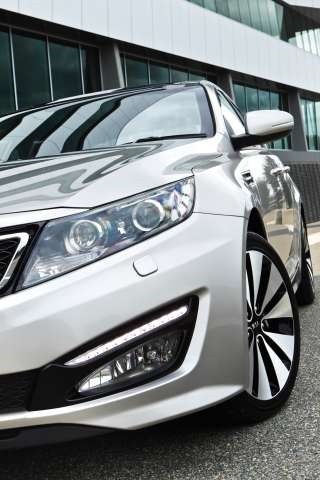 Kia lured Audi’s Peter Schreyer away to give him what was obviously carte blanche. 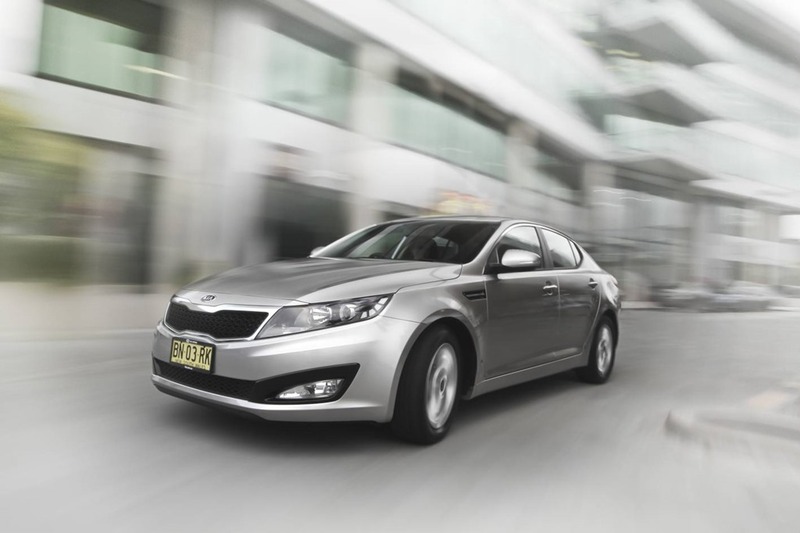 The range has been reinvigorated but none is more striking than the Optima. It’s graceful lines and perfect proportions look very close to the leaked concept drawing we saw several years ago. The Platinum is the range topper so comes loaded to the gunnels with goodies. The huge 18” wheels look even bigger being only black and silver, so the thick spokes look as if they extend right to the edge of the tyre. From the side the roof sweeps low over the heads of the occupants looking like a fine ribbon. 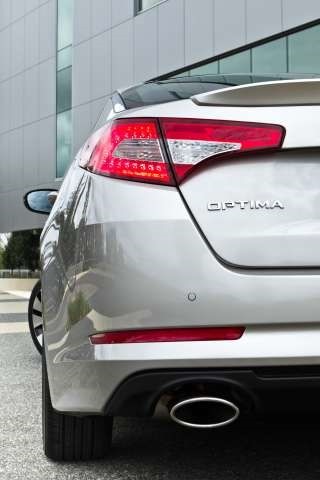 The low windows and a high waist gives the Optima the look of the big German 4 door coupes, without the ridiculous price tag. 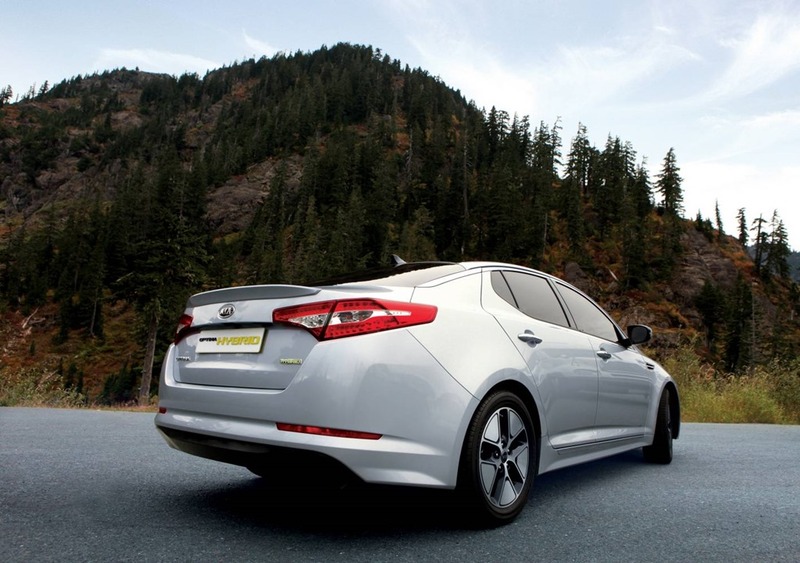 The shape looks as if it might even lend itself to the addition of a hatchback. From the side the headlights looks huge but it’s an illusion because the front of most new cars is truncated at each corner. This means you can have your low swooping bonnet but get into parking spots without bumping your prized possession into shopping centre posts. 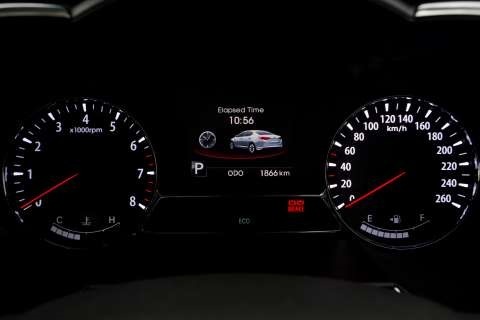 The headlights also have a side lamp which comes on as you turn the wheel. 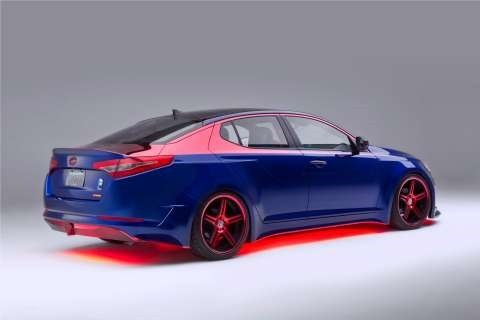 It lights the direction you’re turning which is handy at any speed. 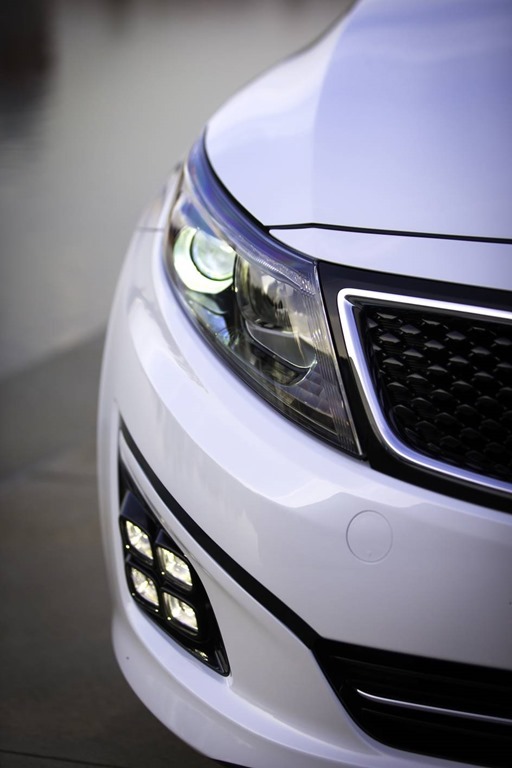 HID lamps are included in the Platinum. 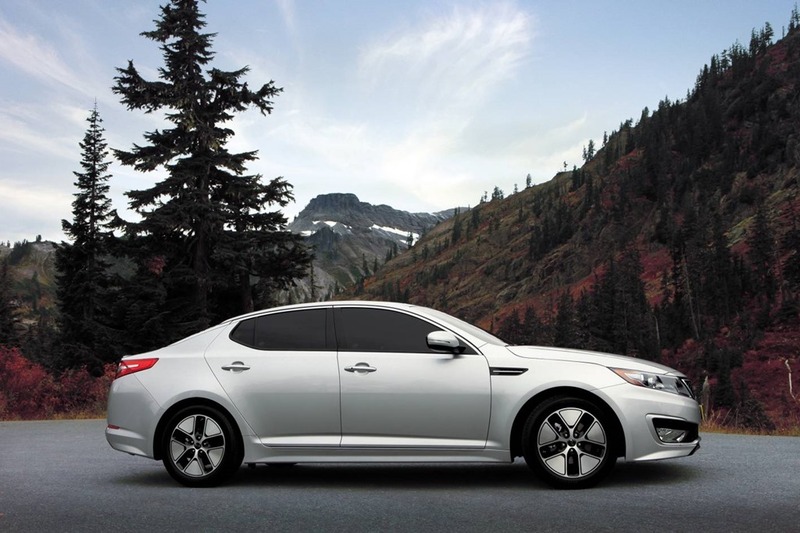 To truly appreciate the Optima it’s necessary to look to Kia’s past. When you do, you realise how far Kia has become. She threw off her frumpy frock and put on the automotive equivalent of the Little Black Dress and doesn’t she look pretty. The achingly beautiful exterior looks classy and high end. 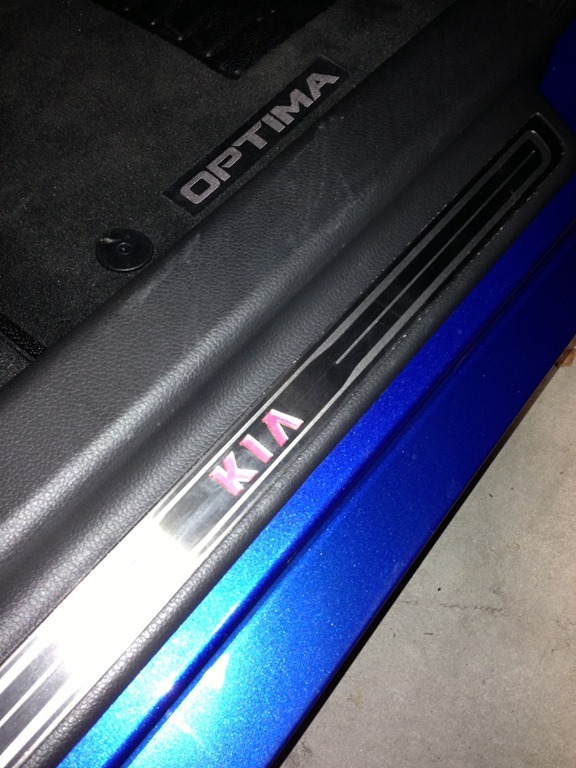 I love the illuminated KIA on the door sill. The moon roof is glorious and extends the full length of the roof. The front glass panel slides up and over allowing the sun to stream in. In the Royal National Park I cranked the roof open and allowed the dappled sun to dance playfully on the instruments while the Infinity blasted out a little bit of Moby, and the world was good. I pulled into the cliff-top car park as the wind whirled up off the ocean. As I sat feeling as though I was king of all I surveyed, the weather came over all emotional so I closed the roof with a single press of the button. Once the glass section slides in to place, an inner cover above the heads of the front passengers extends towards both the front and rear simultaneously. Once closed the roof feels as solid as any other, but it was nice to slide the cover back and watch the rain form little pools on the glass. 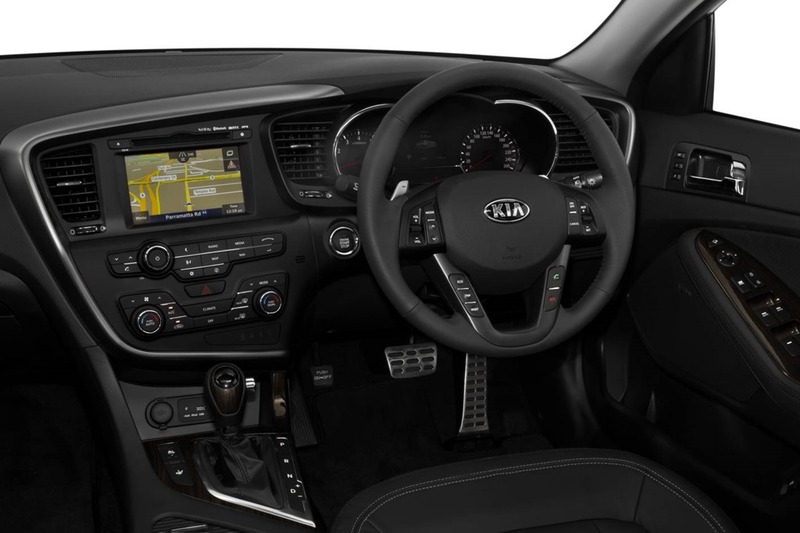 The infotainment system is controlled from the central stack. It looks simple, and it is and we love it. The zones are clearly laid out with the display, audio, and climate control contained in a swoop which defines the cockpit area. I know what you’re thinking, and you’re right. I don’t normally like asymmetric designs but looks again, the cockpit is clearly marked out and its functions are common-sense. 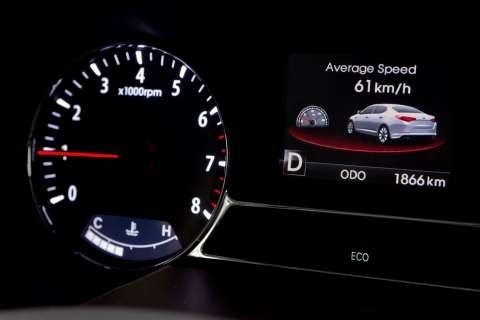 I liked the climate controls being simple. I believe reading the user manual should be unnecessary. A menu system shouldn’t be so complex as to require the driver to constantly refer to dog-eared books which harken back to the pre-electricity era. I would also think there should be a search function and a favourites screen with all vehicle functions centralised. Type “HELP” or press a help key to receive spoken instruction. I’m yet to find all of these features in the one vehicle so any model who is on this track gets big extra marks from us. The buttons in Optima’s cabin are clearly labelled and cleverly laid out. I can’t fault it. 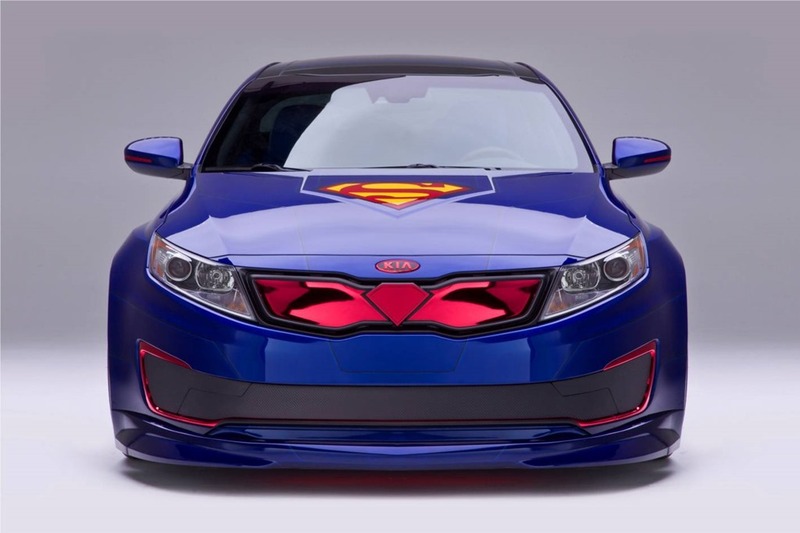 Might our suggestions be taken up by such a much improved car co? As for the rest of the cabin, it’s comfortable and roomy. Mind you it’s not quite the gentlemen’s club yet, but there are luxuries that make up for a slight shortfall in refinement. 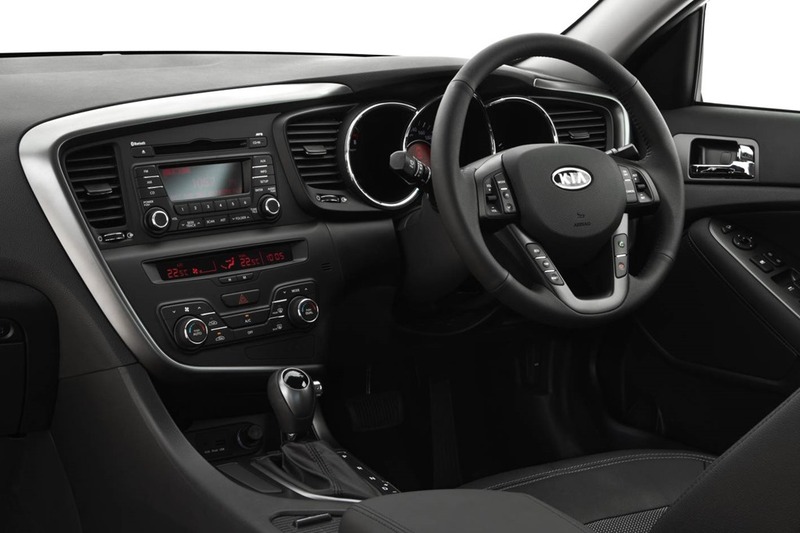 There are appointments I wouldn’t expect in a car of this price such as the auto retracting driver’s seat with an inbuilt cooling function. 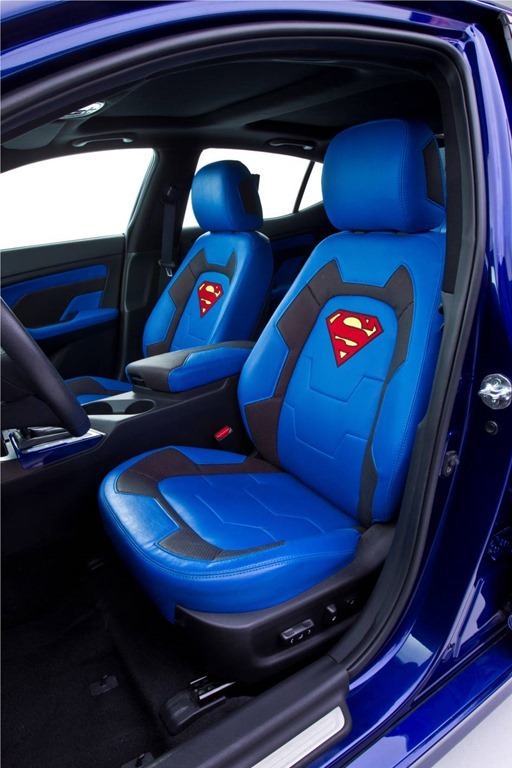 The rear seat is spacious and all are the same leather with classy contrasting stitching. I like the feeling inside very much and even though it lacks the top draw feel of the euro-snobs, it also lacks the price. 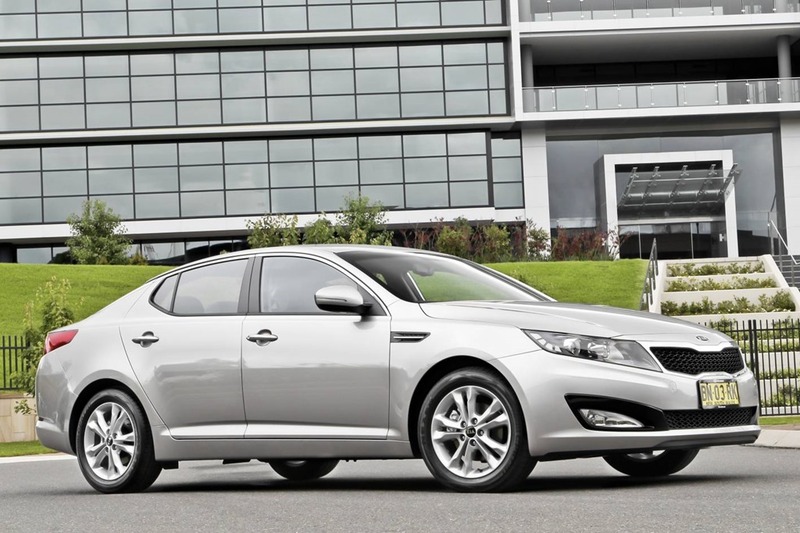 You could have 2 Optimas for the same price as an entry level BMW 5 series. Think about it! Finally, the drive is a delicious surprise. Lift-off is super-snappy courtesy of the low first gear. 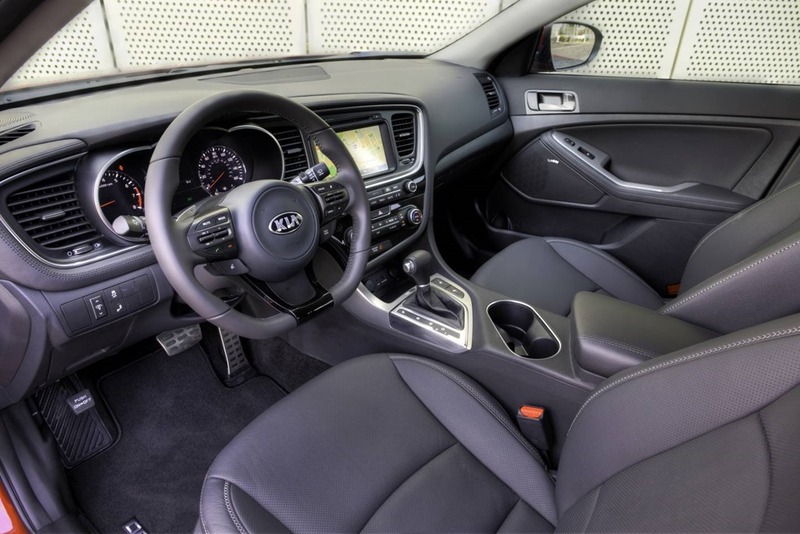 While the 148KW 2.4 petrol 4-pot is smooth, and the 250Nm of torque seems ample, the Kia weighs around 1500 kgs (the 1550kgs quoted in their specs includes a 75kg driver) so I’d love just a teensy little turbo. Its numbers are similar to Honda’s Euro, which as you all know, we love you very much. The drive, while good, is not perfect. The ride is firm and the brakes are brilliant but the steering is a little flat. For me feels too isolated. 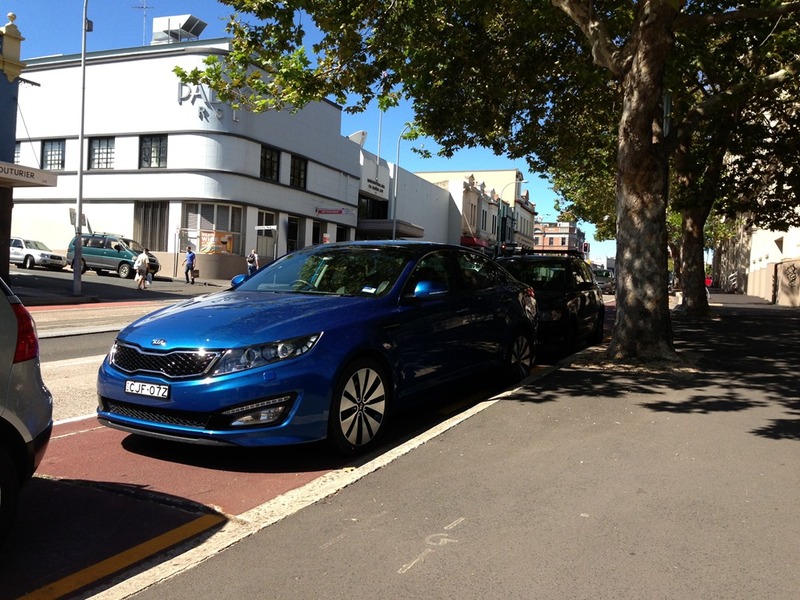 I wanted to be fair so took the Kia on my “sports car” run. 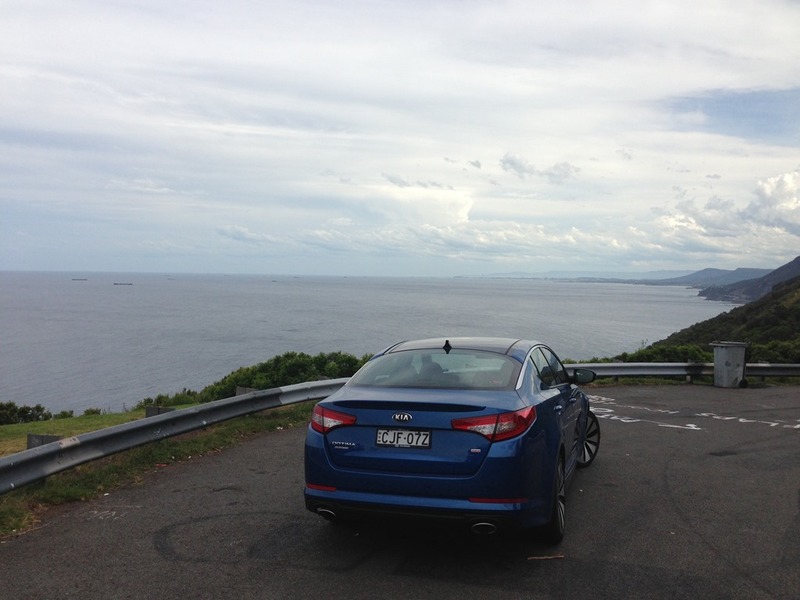 The twists and turns in the Royal National Park put any car through its paces and to my shock the Optima was brilliant. She sung her little heart out, throwing herself into every corner with the gusto of a hard-core sports-car, and did not disgrace herself. She’s a plucky lassie with the 6sp auto set in S for Sports. She doesn’t like to use the top 2 two cogs which is fine by me. There are a few particularly tight corners where I gave the paddles a shove to force her into 2nd to bring that sweet little engine to a boil at just the right minute. Rounding the tightest of tightest corners, she bubbles over and takes off like a scalded cat. It’s like she whipped into a phone-box, ripped off her Princess Di frock and changed turbo-transformers-style into Attila The Hun. The rest of the drive was just as magnificent, and on the way home I stopped just across the bay from Sydney Airport, and I stood and stared. I realised I’d developed the tiniest of man-crushes. The Kia stood in front of me silhouetted against a brand spankers Boeing 747-8 Freighter coming gracefully in for landing. 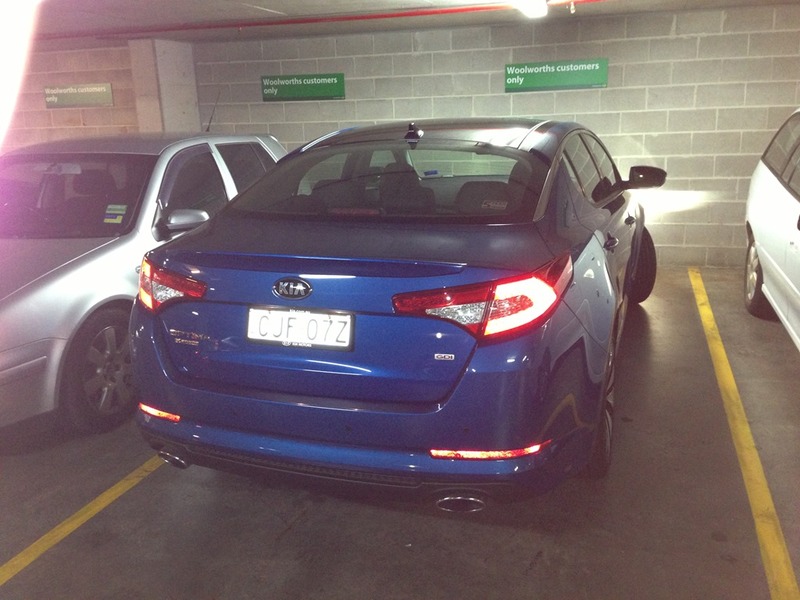 The car looked a million dollars and the drive cemented a remarkable experience into my soul. 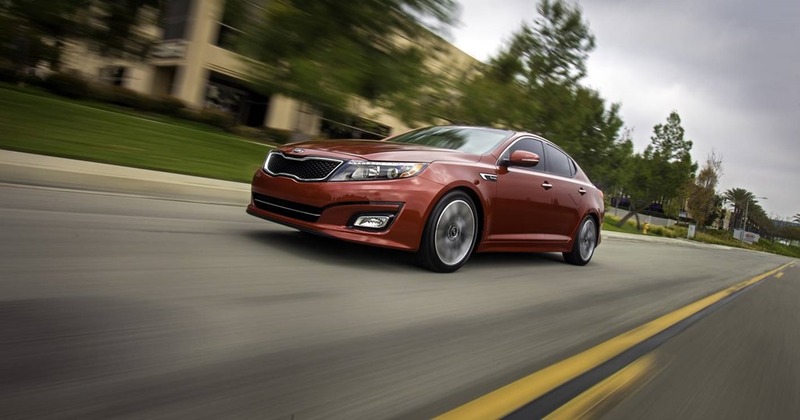 I knew my time with the Optima was coming to an end and I didn’t want to hand back the keys. The truth is I was forced to fight my own prejudices because it had been a long time since I last travelled in a Kia and much had changed. It wasn’t perfect of course. 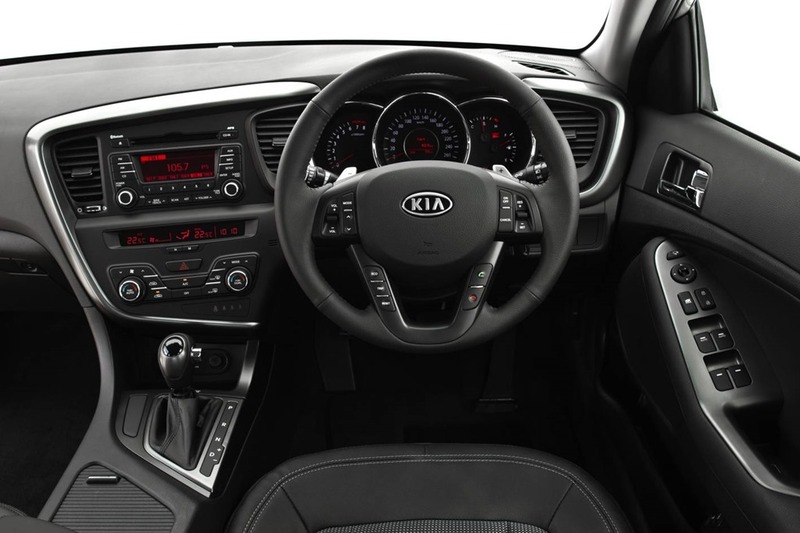 The interior doesn’t have the same premium feel as its exterior and the rear camera is jerky. I did however get used to the steering and its isolated feel. 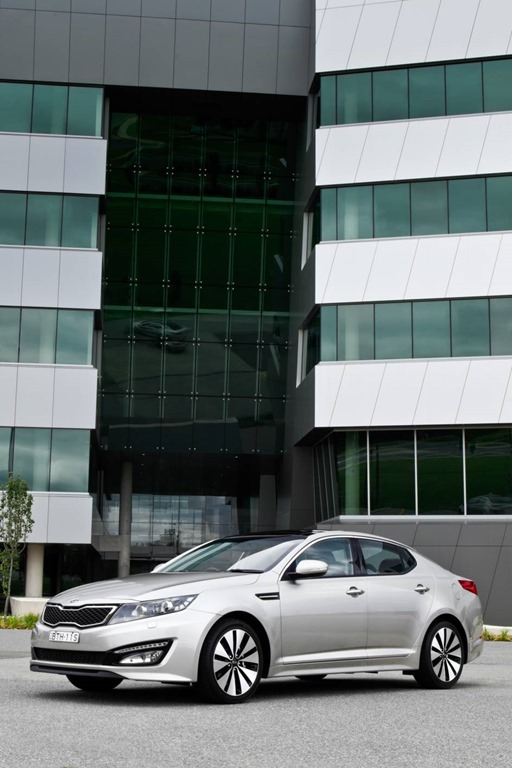 The Kia Optima is as good as anything from Japan and for the price blows the competition out of the water for looks and gadgets. The real surprise is that the Europeans would also get a spanking from our friends From South Korea. 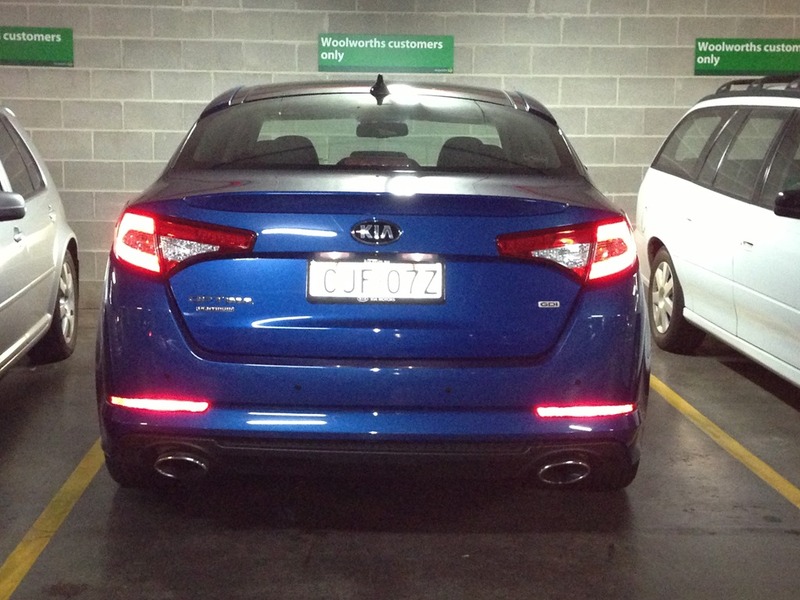 As with me, the biggest problem most people would have with the Optima is the “Kia” badge up front. I quickly overcame that and fell in love. 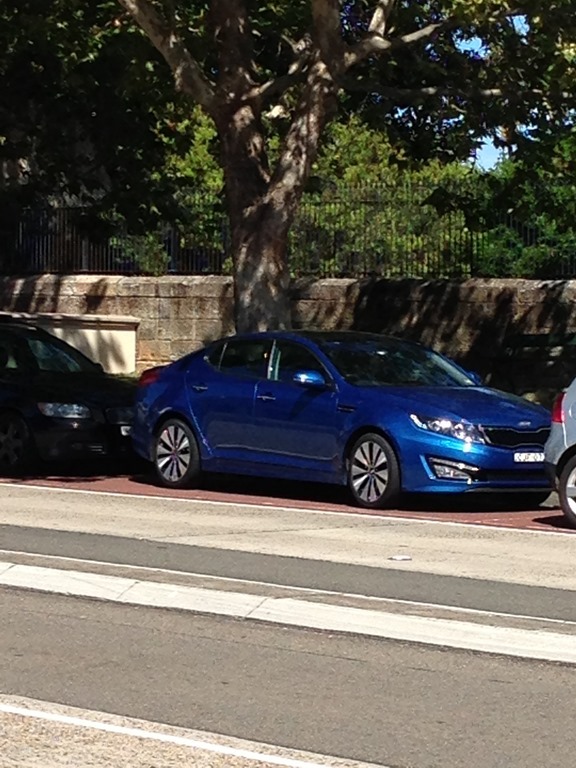 This car bears no resemblance to Kia’s of old and for that I’m glad. Thanks so much for that. It’s the only way we can tell who is doing what when there is multiple people doing reviews. Nice write up seems like you use a similar system to rate cars i do ive just never published them.